Verdict: 2/2 of us will return :). 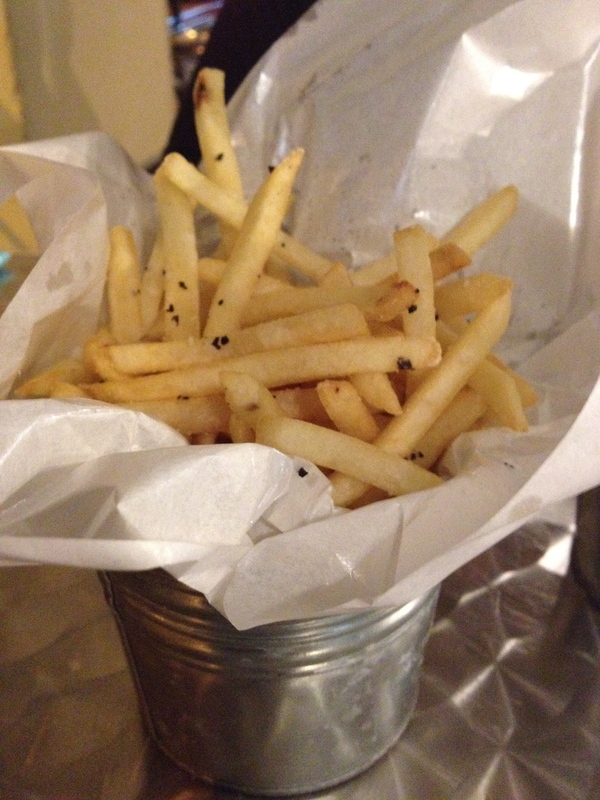 I loved that the truffle fries had actually mini truffle bits to it! And it was quite at an affordable price! 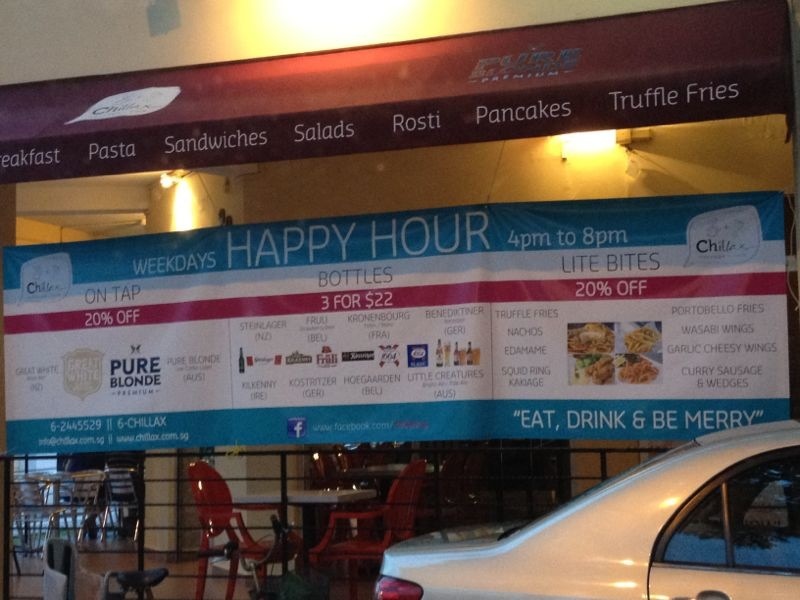 The best part is if you go during happy hour, you get it at happy hour price. 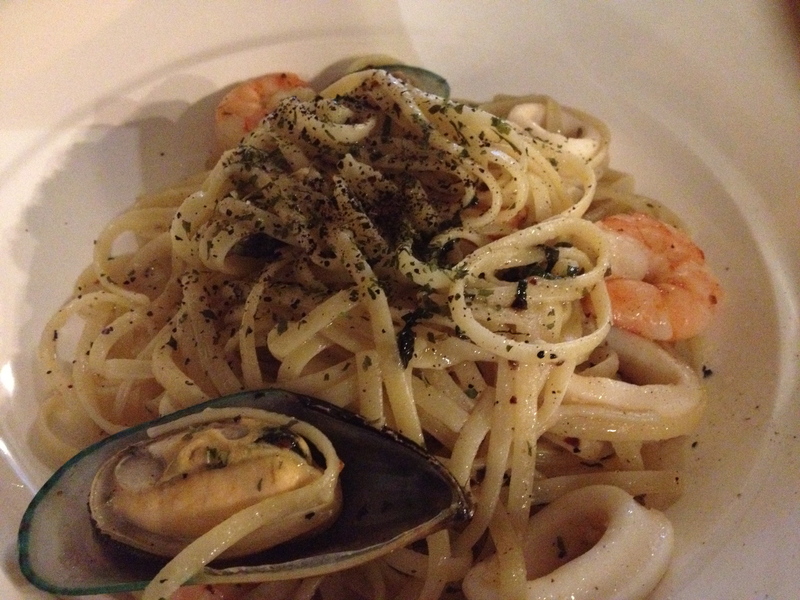 Troopie Grace ordered seafood aglio oilo. She mentioned it was ok like nothing to complain about, cooked to her liking. Simple dish but executed well. 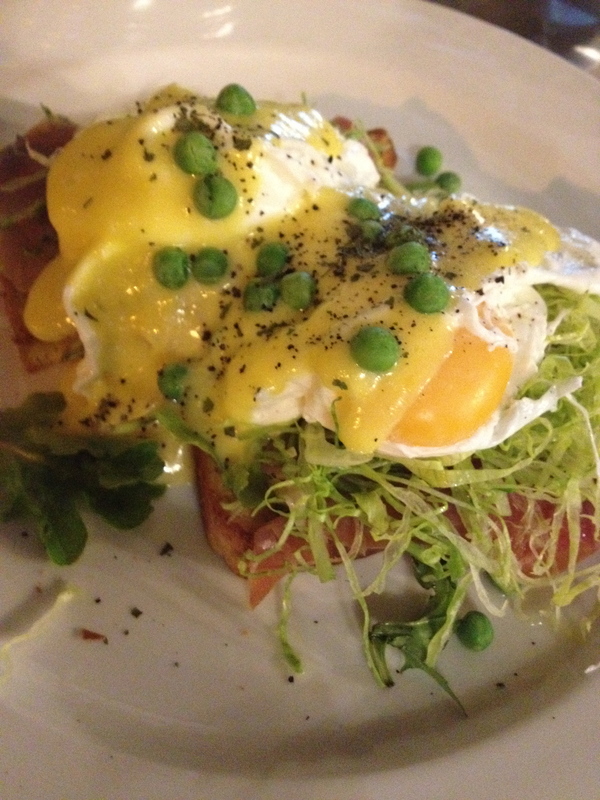 My Eggs benny on the other hand, I thought the sauce was very special – which enticed me to order it. It was your normal hollandaise sauce but, mixed in was yuzu instead of the lemony sourish flavour. I quite like that spin off 🙂 Was not at all disappointed , although I personally wished they didn’t have to drizzle it with the green pea (just a personal preference to not like them). 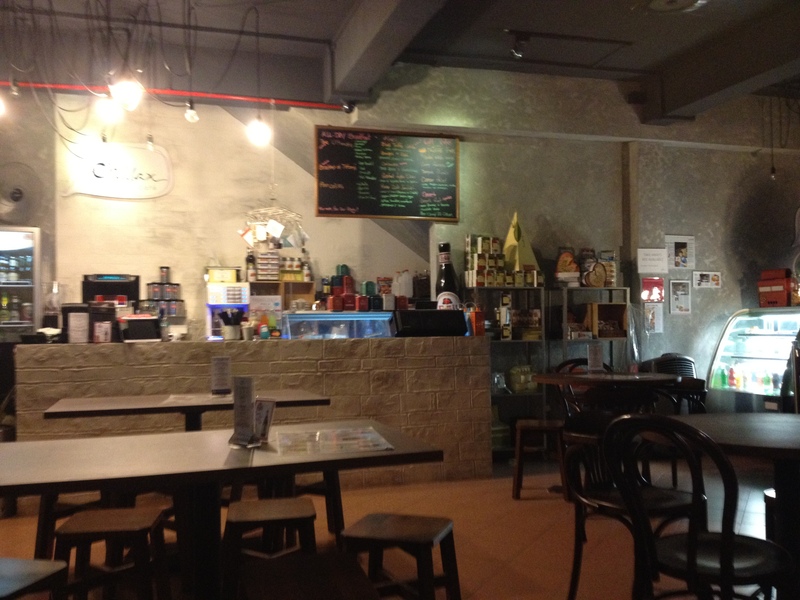 Posted on 03/10/2012 by ahballing	• This entry was posted in #Hits, @Singapore, Brunch, Cafe, Chillax, Western and tagged @Singapore, Brunch, Serangoon Gardens. Bookmark the permalink.